More than just a beautiful course! 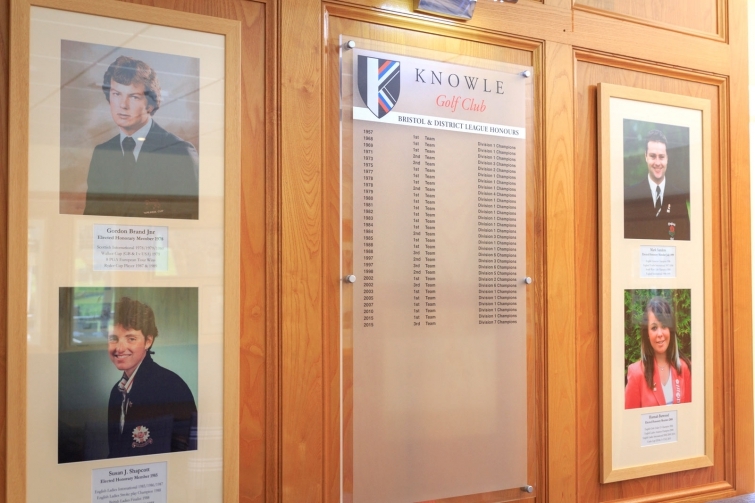 Knowle Golf Club is the most successful club in the Bristol area. We're proud that our Club has produced and is home to the finest players to emerge from our region. Gordon Brand Jnr (Ryder Cup player), Mark Sanders (English Amateur Champion), Hannah Barwood (Curtis Cup player) Susan Shapcott (Curtis Cup player) are all products of our fantastic junior programme, for which we are renowned. Knowle players have dominated County Golf at all levels and age groups and continue to do so. We have been Bristol & District League Champions a record 19 times. These achievements are a result of being active in the local community, opening our doors to local children and schools and crucially, being recognised as a friendly club where people enjoy spending their leisure time. We're justifiably proud of the achievements of our elite players, however first and foremost our priority is the enjoyment and ambience experienced by our members. We're fortunate in that we have a two tee start so that Singles and 3&4 Balls are able to start separately ensuring that play is seldom held up. Our members tell us that they love that they don't have to book tee times, and it is one of the advantages of membership, that with the exception of some competition days, members can just roll up and play. We're a traditional Club in many respects but we only hold dear the traditions that are worth preserving. You won't find outdated attitudes or petty rules here, we are about all that is good in the game. 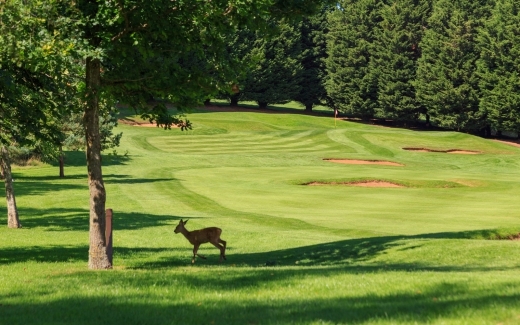 Knowle Golf Club is exactly what this website portrays. A successful club that's home to a beautiful course that gives and will continue to give, a great deal of joy to all those fortunate to play or visit here. 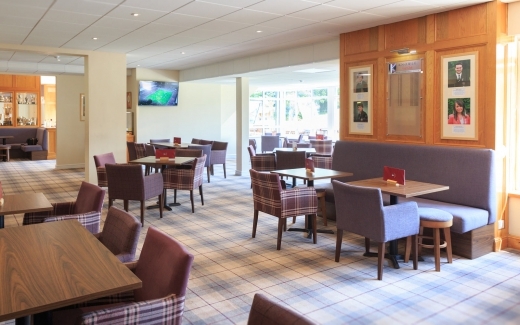 At the heart of the Club is our modern Clubhouse and whilst some clubs struggle and appear sleepy, Knowle is a sociable place with a warm, welcoming and friendly atmosphere. 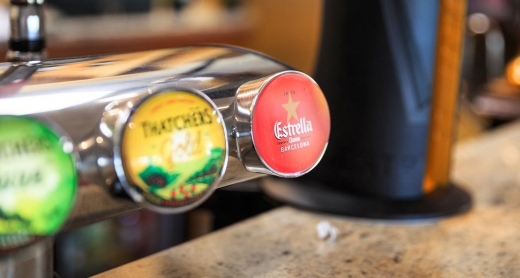 In the summer months, the patio overlooking the course is a great place to spend time and enjoy a refreshing drink or bite to eat. We have large, well appointed changing rooms and lockers to store clubs as well as space for trolley storage. Our Dining Room can comfortably seat large groups and is also well adapted to more intimate lunches and family occasions. Our Head Chef, Chris Fearnley offers a delicious menu that proves popular with golfers and non golfers alike. Mark Sanders is our PGA Professional and provides the Club with the best coaching and support available. His teaching abilities range from juniors as young as four, to Club Champions and elite level players. He offers a fully stocked Pro Shop, with something for everyone and provides a vast range of goods and club repair services. Mark, supported by fellow PGA Professional Tom Duke is able to offer GC2 Indoor Simulator for lessons and Club Fitting.